The commissioning of Air Noise Environment (an experienced consultant) with the ability to prepare high quality, scientifically robust, clear and concise assessment reports allowed the project to obtain approval of the works application ahead of schedule without the need for lengthy tribunals. Dispersion modelling provides a means for both the regulators and the proponents of a project to assess the potential implications of future development on existing air quality. 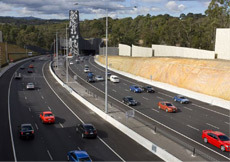 The EastLink project is the largest completed road project in Australia, comprising 45 kilometres of freeway standard road, inclusive of the untolled Ringwood and Dandenong bypasses. 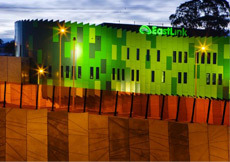 ConnectEast engaged Thiess John Holland (TJH) as the Design and Construct Contractor for EastLink. assessment of the impacts of the project on surrounding landuses in accordance with the State Environmental Protection Policy (Air Quality Management). Air Noise Environment prepared a modelling proposal for submission to the EPA in accordance with State Environmental Protection Policy (Air Quality Management) to allow the use of Calpuff to predict the impacts of the proposed tunnels' operation of the surrounding environment instead of the Victorian regulatory air dispersion model, Ausplume. Selection of an alternative model to assess the vent stack emissions was undertaken to address some of the key limitations of Ausplume with respect to this project. Ausplume is a Gaussian plume model widely used for regulatory impact assessment of air contaminant sources. The Ausplume model assumes steady state meteorology during the time periods adopted for the model runs. Steady state meteorology assumes that, for any given time period of model calculation (usually 1 hour), the wind and other meteorological conditions are uniform over the entire area being modelled. It is also assumed that a plume travels instantaneously to the edge of the modelled area in a straight line. For the next hour, the plume is assumed to travel in a different straight line to the edge of the model area, based on the wind conditions for that hour. For areas where meteorology can vary spatially, the steady state assumption does not provide an appropriate assessment of potential impacts. This fact is particularly evident when considering the release of contaminants into an environment where terrain significantly affects local climatology. As a result of the terrain effects on air flows within (and around) the Mullum Mullum Valley, the use of Ausplume is not able to provide a representative assessment of localised impacts. The CALPUFF modelling system treats emissions from an exhaust stack as a series of puffs. These puffs are then dispersed throughout the modelling area and allowed to grow and bend with spatial variations in meteorology. In doing so, the model is able to retain a memory of the plume's movement throughout a single hour and from one hour to the next while continuing to better approximate the effects of the complex air flows noted to occur in the project area. CALPUFF utilises the meteorological processing and prediction model CALMET to provide three dimensional wind field predictions for the area of interest. The final wind field developed by the model (for consideration by CALPUFF) includes an approximation of the effects of local topography, the effects of varying surface temperatures (as is observed in land and sea bodies) and surface roughness (resulting from varied land uses and vegetation cover in an area). The CALPUFF model is able to resolve complex terrain influences on local wind fields including consideration of katabatic flows and terrain blocking effects associated with the significant local terrain features surrounding the proposed vent stack locations. The modelling proposal prepared by Air Noise Environment identified the key features of the local environment and demonstrated the need to adopt an alternative to the standard regulatory model in order to appropriate assess the potential impacts of the project. The EPA granted approval for the use of Calpuff based on the modelling proposal prepared by Air Noise Environment on 19 September 2005. Detailed studies of the wind fields in the area identified the presence of a complex wind pattern where contaminants released within the valleys are effectively isolated from regional influences under inversion conditions. Similarly, during low wind conditions, wind speeds and directions were observed to vary significantly from the regional wind patterns outside of the valleys. These complex wind conditions required specialised three-dimensional meteorological modelling to accurately predict the potential impacts on the surrounding region. The broad approach adopted for this project was to consider a suite of predictive dispersion models and methodologies in order to provide the regulatory authority with a degree of certainty regarding the predicted outcomes of the project. (I) A suitable meteorological model (and appropriate input data) for the prediction of three dimensional wind fields in the project area. (II) Utilisation of CALPUFF (the predictive dispersion model approved by EPA Victoria for this project) and post-processors to allow the prediction of the potential impacts of the ventilation stack exhaust on surrounding sensitive receptors. (III) Use of EPA Victoria's approved regulatory air model (Ausplume) as an additional means of validating the predicted outcomes from the approved dispersion modelling methodology (CALPUFF) for this project. Emissions from surface roads have been identified as the major source of contaminants in urban areas within Australian cities. Typically, these emissions would be included in the assessment of potential impacts by the consideration of existing ambient contaminant concentrations. However, in the case of the EastLink Project this was not possible as the major sources of roadway emissions in the area (the EastLink roadways) was yet to be constructed. Therefore, as a means of estimating potential cumulative impacts associated with the project, emissions from hourly traffic volumes for the EastLink main carriageways and associated entry and exit ramps for a 1 km radius around the proposed ventilation stacks and portals was considered. Predictions of the dispersion of emissions from the surrounding new roads was undertaken using the AusRoads modelling software. AusRoads is a line source air quality model developed by the EPA Victoria based on the algorithms utilised by Caline 4 as developed by the California Department of Transportation (Caltrans). AusRoads utilises the Gaussian diffusion equation and employs a mixing zone concept to characterise contaminant dispersion over the roadway. The purpose of the AusRoads model is to assess air quality impacts near transportation facilities. Given source strength, meteorology and site geometry, AusRoads can predict concentrations for receptors located near to the roadway for a range of contaminants. Specialised software written by Air Noise Environment allowed receptor concentrations from the proposed surface roads and tunnel ventilation exhaust emissions to be added on an hourly basis. This allowed a realistic assessment of the potential cumulative impacts of the project on the surrounding environment. 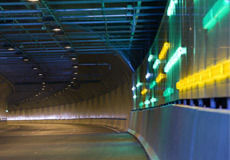 The Works Approval Application for the EastLink tunnel ventilation system was lodged with the Environmental Protection Authority (EPA) in April 2006. The EPA completed its assessment of the Works Approval Application in early September 2006 and granted works approval on 5 September 2006.
emissions from the ventilation system will have a negligible impact on air quality and are within levels specified to protect peoples health.